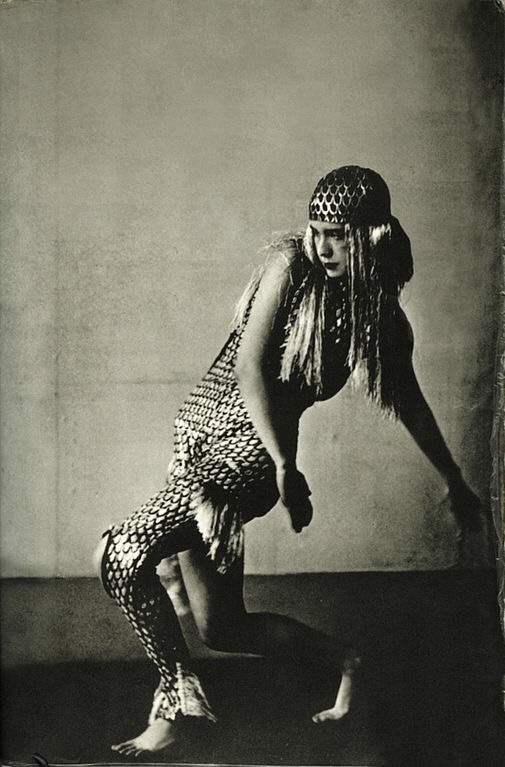 I have very much enjoyed my latest forays in the early twentieth century looking at amazing women who made a huge impact on contemporary and modern dance – see my previous posts on Helen Tamiris and Aida Overton Walker. It’s made me want to find out more and develop a series of papercuts on these influencers. 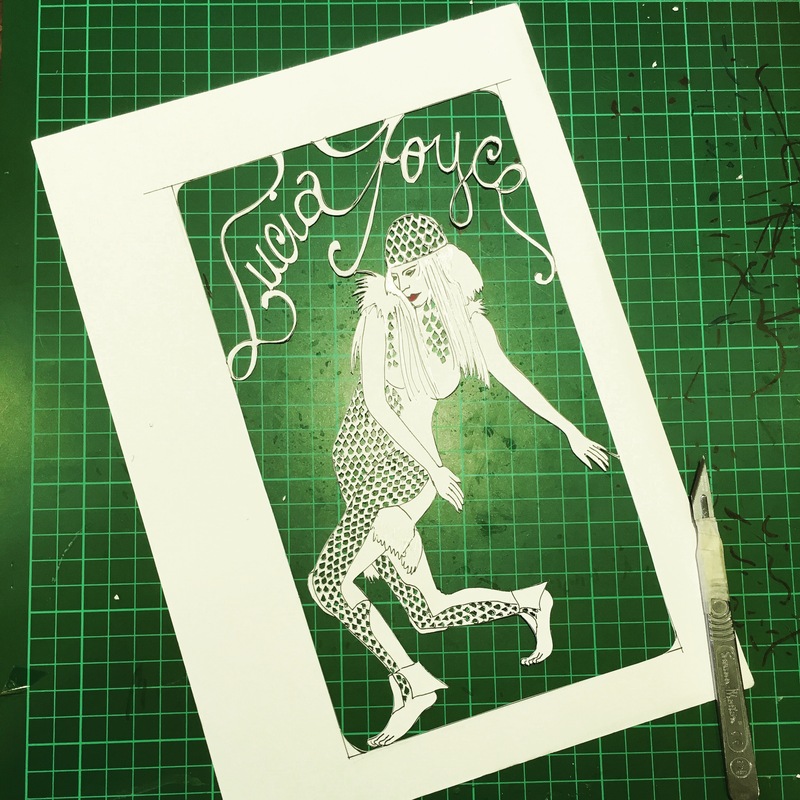 My friend Pascale mentioned Lucia Joyce, and I was immediately intrigued. None other than the daughter of James Joyce, Lucia had a very bright future in the world of modern dance, studying with the masters of the time in Paris and beyond, and herself showing such great promise in her choreography that it was said James might soon be known as his daughter’s father rather than the opposite. She is supposed to be the inspiration for James’s seminal work Finnegan’s Wake and was Samuel Beckett’s lover (although he seemed to have used her as an excuse to get closer to her famous father, the cad!). 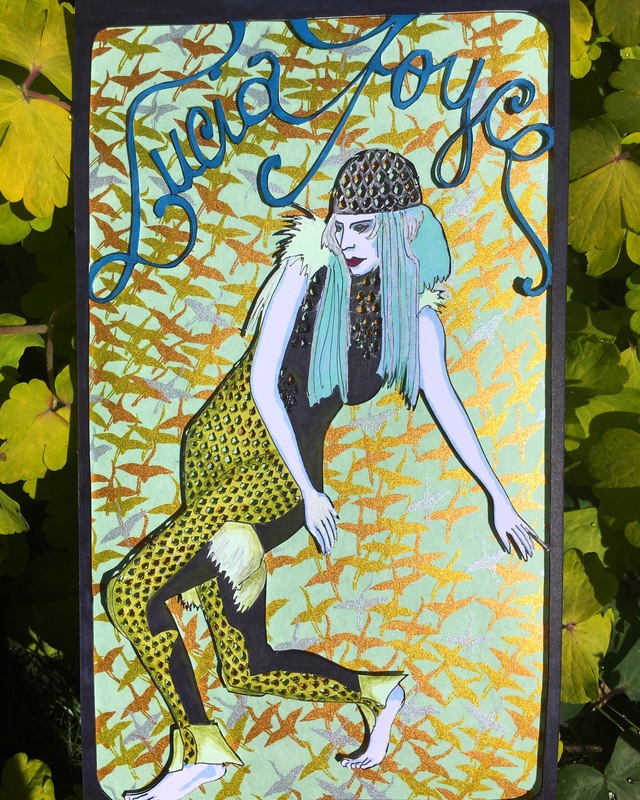 There is a lot of controversy about Lucia’s fate – was it exhaustion, schizophrenia or the harnessing of her family that put a crude end to her career (there is quite a lot of literature on the subject including a beautiful graphic novel – dotter of her father’s eyes by Mary and Brian Talbot)? Whatever it was, Lucia left the stage in her early twenties to spend the rest of her life in mental institutions. So tragic!!!! What’s left are a few stunning pictures of her performances – and this one really caught my eye, so modern, so intense. I used papercutting to create the shimmery snake-like effect on her costume, and to cut out the lettering and frame. I am in trouble with my mum though as she pointed out that the palm of her right hand in front of her should be turned upwards, not downwards. Ooops! And this is why it’s useful to have a dance expert in the family, I’ll make sure to consult her earlier next time!!! Love this! It would make a gorgeous print! Never knew about James Joyce’s daughter!